Diversified. Experienced. Connected. Detailed. Dependable. If you’re looking for a reliable solution to relieve the headaches of managing your chemical distribution and waste disposal, you’ve come to the right place. With over 32 years of experience in the manufacturing, aerospace, governmental and printing industries, SES offers a streamlined business model that delivers our products and services to both large and small customers nationwide. Every day, we partner with our clients and vendors, to offer better customer service, cost savings and dynamic solutions that make their jobs and companies more successful. Call us for a free consultation and analysis. Ink Waste Disposal: Disposal of printing inks including Offset, Letterpress, flexographic, ink-jet, and metallic security inks. Buy Refrigerants Online: Laboratory certified refrigerants to AHRI-700 Standards. Chemical Distribution: Vapor Degreasing Products, Acids, Glycols, Acetone, Toluene, MEK, Isopropanol, Hexane and Xylene. Antifreeze Products: Industrial solutions for commercial applications. 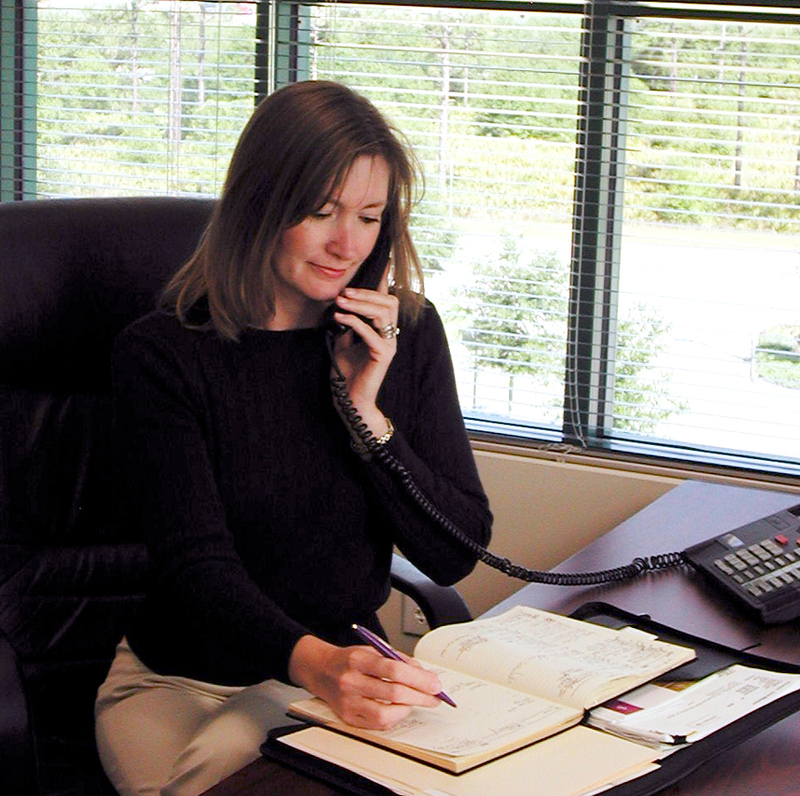 Are You Interested in Working With Companies Owned and Operated by Women? Providing a solid future for our environment with responsible waste management processes. SES gets it done right, the first time. 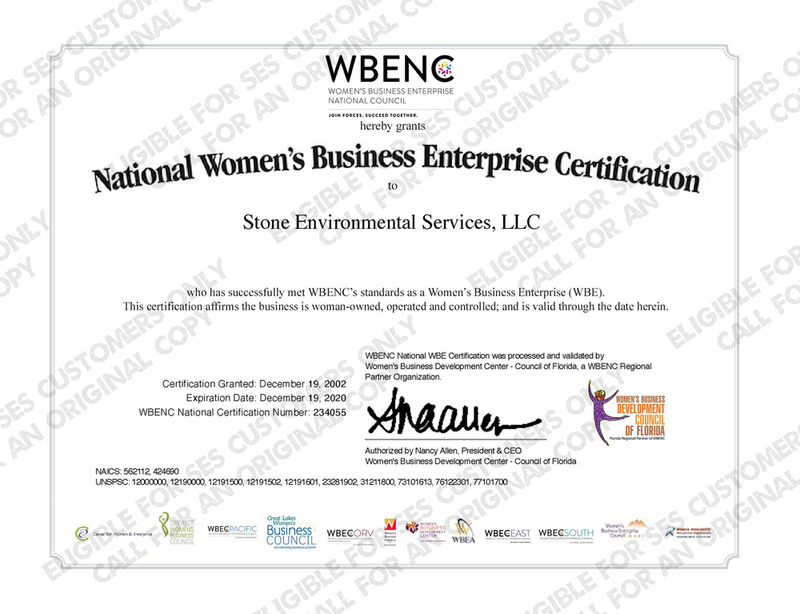 We are happy to share more information about Stone Environmental Service, a National Women's Enterprise Business Certification member. If you need a copy of our certificate, please leave your phone number in the form below and we will contact you.